Dinner at Golden Great Wall Szechuan Restaurant on West Broadway in Fairview Slopes on September 28, 2010. The Golden Great Wall Szechuan Restaurant is a good, clean, friendly Chinese restaurant on the heart of the West Broadway district near Oak Street. The inside is spacious and bright with a friendly staff and good service. 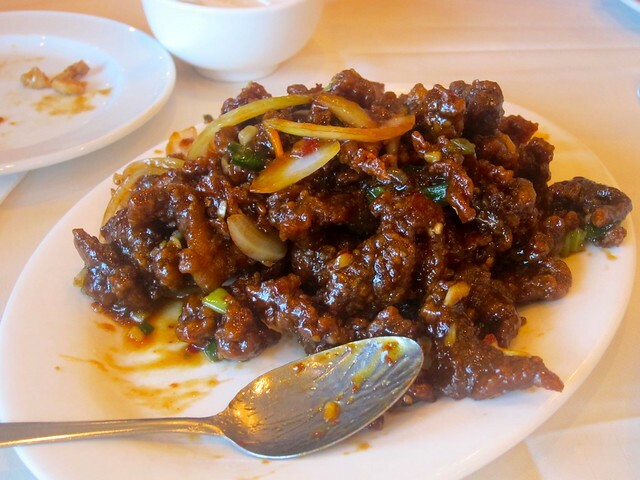 Ginger beef is probably my favourite Chinese dish and I found it here really good and crispy. The sauce was flavourful and sweet. I really liked it. 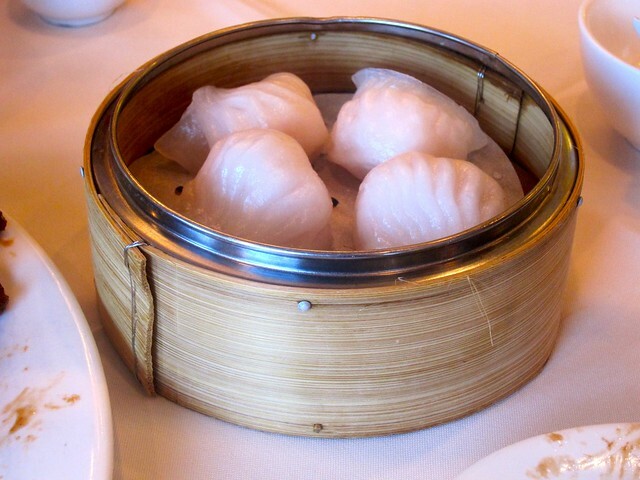 The har gow dim sum dish is hard to screw up. It mainly involves the proper steaming. Like at most places, it was fine. 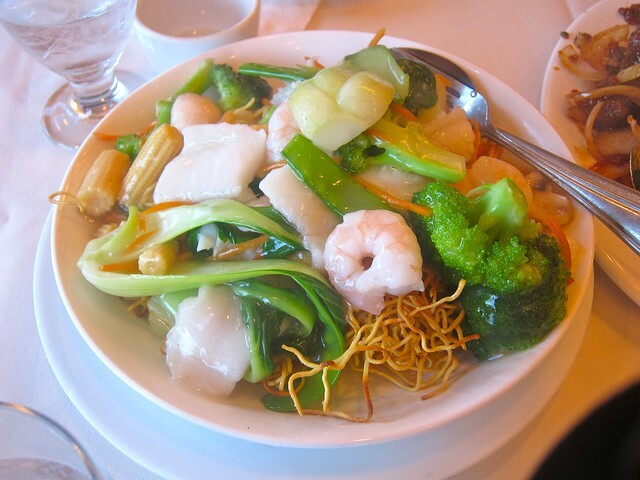 The seafood chow mein was serviceable and perfectly eatable. I found the noodles a little too crispy but I am probably alone on that. It is pretty standard dish and it did the trick. The diced chicken was good despite being relatively standard and purposefully bland. The meat was well textured, saucy and good. I really liked the food at Golden Great Wall. I guess I just wanted a little more flair or uniqueness. 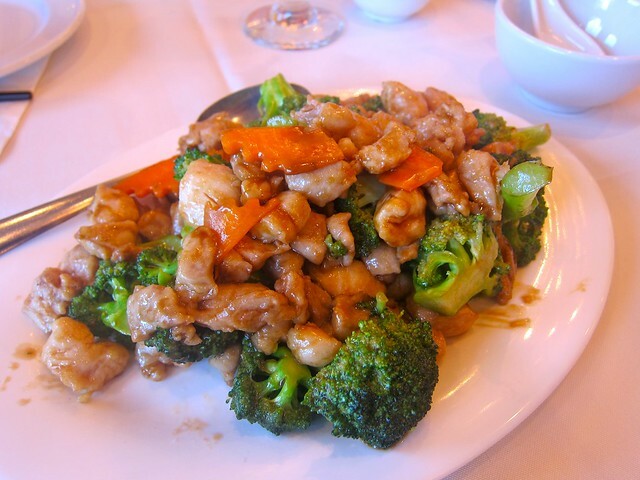 It was relatively clean, grease-free while keeping an authentic Chinese taste and quality. The prices were standard and reasonable at $15 per person including tax and tip for four people. It was a good meal and I would gladly go back for more. Yeah, the GGW's ginger beef is the best I had ever tried. So crisp. Did you go recently? Did you use the Groupon for GGW? I was wondering how this went especially when they sold over 3000 groupons. It was pretty empty when I went.